John Olsen limited edition fine art print titled Popping Blue Bottles II, image size is 68x75cm, allow approximatly another 10 cm to finished frame size, Popping Bottles II is hand signed, titled, numbered, the edition is limited to 35 only, Popping Blue Bottles II is made from the original painting by John Olsen and should not to be confused with the 2007 release of Popping Blue Bottles http://etchinghouse.com.au/arrivals/popping-blue-bottles/?john-olsen “Popping Blue Bottles 2007” has been limited to 250 only and sold out bar I or 2 in archives, Etching House can arrange framing. The fine art print “Popping Blue Bottles II from 2016 is made on high quality Archer’s archival paper using pigment ink, John Olsen and his art works is also well known for his collectable Frog series, and very high quality original Etchings http://etchinghouse.com.au/arrivals/jump-11/?john-olsen and http://etchinghouse.com.au/arrivals/frog-climbing/?john-olsen Etching House has an extensive range of original Etchings available. 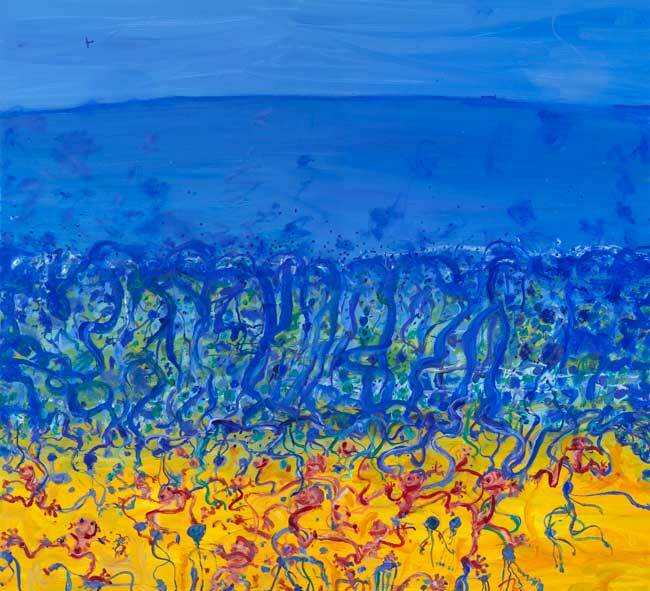 John Olsen fine art at Etching House Lay Buy Payment plan up to 12 months no fees.